Add distinctive finishing touches to any room with the exceptional home décor products in our collection; welcome your guests and surround yourself with appointments that speak to your lifestyle. Discover extras for your kitchen, dining area, and home bar—from decorative pieces for the spaces where you gather, to handy bar tools and personalized glassware. 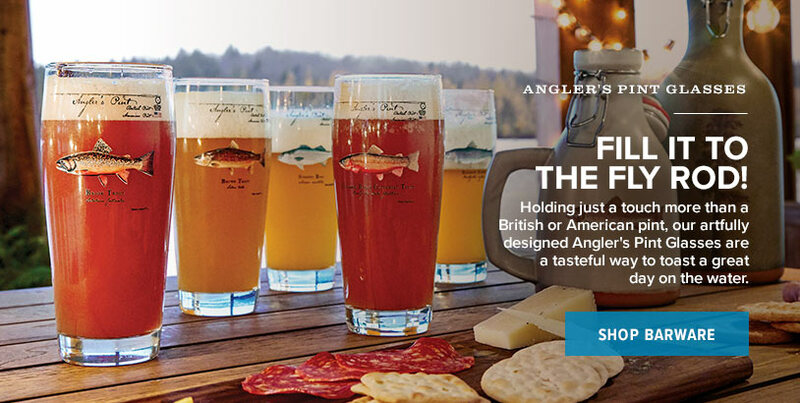 Mix inspired cocktails, uncork your best wine, pour your favorite hoppy brews, and toast to friends with the barware in our collection. 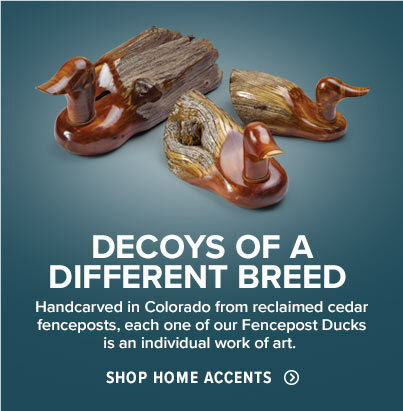 Exquisitely crafted décor pieces celebrate everything from our beloved canine companions to our sporting passions. Build an exquisite room outside—our outdoor furnishings and accessories create a welcoming space to relax and unwind. Luxury and nature come together in décor that brings lakeside living to your home, in any season. Enjoy the comfort of a crackling fire indoors or out; you won’t do better than our celebrated fatwood to keep your fire pit or fireplace roaring, and you can feel good knowing it’s earth-friendly kindling, harvested without deforestation. 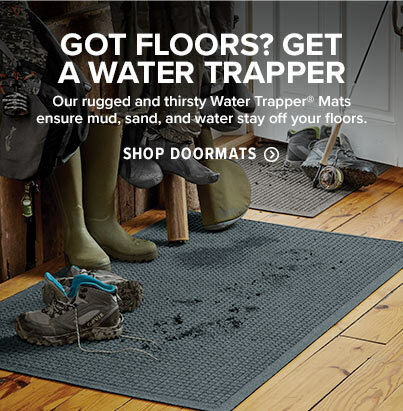 When it’s time to head indoors, our thirsty Water Trapper® mats stop the mess at the door. Protect your floors and add ambience to an interior space with classic area rugs and durable carpets that are quality-made to last. Add comfort to the master suite and guest bedrooms with duvet covers and bedding in crisp cotton percales or indulgent Portuguese cotton flannels—we’re smitten with America’s favorite dog, the Lab, and you’ll find them everywhere in our bedding collection. When it comes to home furnishings and refined extras, our distinctive home décor collection offers items to complete every room and outdoor living space.